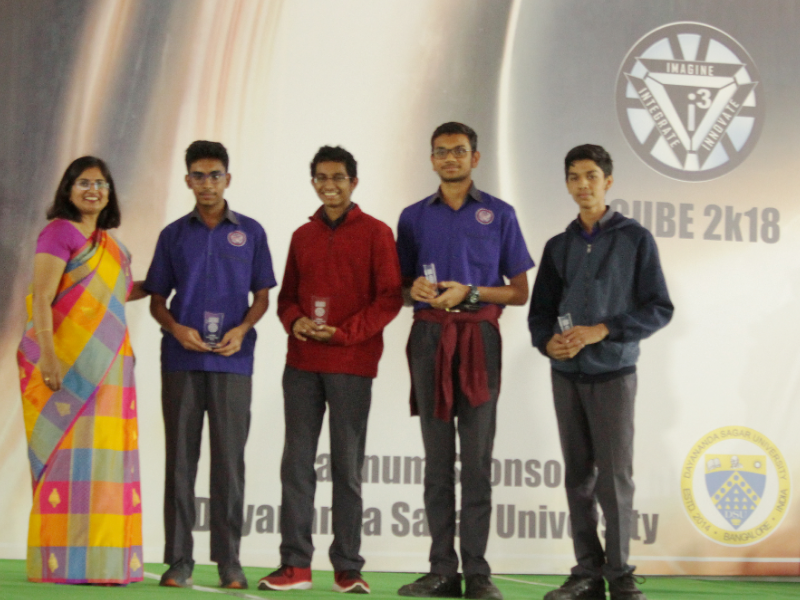 Bangalore headquartered Deeksha Learning, India’s leading education services provider, hosted its annual Science Fest iCube on Saturday, November 17 at its Kanakapura Road centre in Bangalore. The event was graced by R Janardhan, pro vice-chancellor of Dayananda Sagar University and other dignitaries. iCube stands for Imagine, Innovate and Integrate, which are the aspects that help every child to discover his/her true potential. The greatest discoveries and inventions did not materialise from mere textbook ideas but imagination put into action. The annual fest not only sparked the minds of science enthusiasts but entrepreneurs, business savants, creative artists, future leaders and cultural enthusiasts too. The fest, which was organised by the young and dynamic students of Deeksha, focused mainly on practical and out-of-the-box ideas. Children learned the importance of hard work and consistency through repeated trial and error methods of model making. Deeksha children visited numerous schools and colleges inviting them to the fest and requesting sponsorships. The fest was supported by elite organisations of Bangalore such as Dayananda Sagar University, Jyothy Institute of Technology and Radhakrishna Multispecialty Hospital and IVF Center, among others. The stage decoration, design, data handling, food, budget and digital were all taken charge by the Deekshaites. Working in sync, taking everyone’s ideas into account and coming together as one face and one beating heart, is what made this year’s iCube a grand success. Deeksha partners with like-minded institutions committed to delivering quality education at the pre-university level through a holistic study environment. To learn more, visit www.deekshalearning.com.